Employers have an obligation to provide their employees with a safe environment in which to perform their jobs. In late 2016, the Bureau of Labor Statistics (BLS) noted private employers reported "2.9 million nonfatal workplace injuries and illnesses ... in 2015, which occurred at a rate of 3.0 cases per 100 equivalent full-time workers." This marks a continued decline in workplace injuries, but accidents occur all-too-often - even at sites where stringent safety precautions are followed. The most common types of workplace injuries are overexertion, falling, and getting struck by things. Claims Journal indicates overexertion is the leading cause of workplace injuries, with Poms & Associates indicating these kinds of injuries represent "about a quarter of workplace injuries" and workers' compensation claims. Injuries related to overexertion are "typically related to lifting, pushing, pulling, holding, carrying or throwing." Insurance Journal indicates falls are the second most common type of occupational injury, with same-level falls accounting for over 15 percent of workers' compensation claims. Slips and trips are included in this number. Falls to a lower level, such as falling down the stairs or off a ladder or platform, account for more than eight percent of workers' compensation claims. Insurance Journal indicates getting struck by objects or equipment is the third most common type of workplace injury. This type of injury accounts for nearly nine percent of all workers' compensation claims. Eye safety is an important concern in the modern workplace. Industrial Safety & Hygiene News indicates approximately 300,000 people go to the emergency room every year due to eye injuries sustained in the workplace. About 40 percent of these injuries are sustained in industrial settings, such as manufacturing, construction, or mining. Non-industrial occupations with the most emergency room visits for eye injuries include leisure/hospitality, education, and healthcare. Protective eyewear is critical for workplace situations where eye hazards are present. Every day, according to the National Institute for Occupational Safety and Health (NIOSH), around 2,000 workers sustain eye injuries at work. According to the American Optometric Association (AOA), most of these injuries occur because workers fail to wear eye protection or use the wrong kind. According to EHS Today, U.S. workers spend and average of seven hours per day working on a computer. With that in mind, it shouldn't be surprising that eye strain is an increasing workplace safety concern. A survey conducted by the AOA indicates "that 58 percent of adults have experienced digital eye strain or vision problems" directly resulting from work-related computer usage. Safety is of a particular concern in industrial settings and job sites where construction work is performed, as they can be particularly hazardous. According to Optimum Safety Management, there are nearly 100,000 forklift-related injuries in U.S. workplaces each year. Considering that there are fewer than 900,00 forklifts in use throughout the country, this means that - on average - you could say that one out of every ten forklifts is involved in an accident each year. Findings from a 2015 Hand Injury Research Study published in Industrial Safety & Hygiene News, indicates that "four out of every ten hand injuries are cuts or punctures," a large percentage of which result from workers failing to wear cut-resistant gloves. In some cases, workers do not have the proper gloves while in others, they simply choose not to wear them - both of which are serious safety issues that need to be corrected. EHS Today indicates the four most common types of injuries leading to fatalities on construction related job sites occur when people fall, are electrocuted, find themselves caught between objects, or get struck by objects. Even though offices may seem safer at first glance than many other work environments, they are not without risk. According to the Albert Einstein College of Medicine, office workers are actually about twice as likely "to suffer a disabling injury from a fall than non-office workers." Such injuries are often related to things like desk or filing cabinet drawers that are left open, power cords or other cables or wires stretched out where they shouldn't be, loose flooring, objects left in walkways, etc. WebMD emphasizes the importance of using a properly set up work station for office workers who wish to reduce their risk of injury. They recommend sitting with your computer monitor directly in front of you with the screen at eye level and your feet flat on the floor. Use a footrest as needed and be sure your chair provides lumbar support. The Commonwealth of Virginia Workers' Compensation Services points out that basics office equipment can be a source of on-the-job injuries for administrative workers. For example, injuries can occur when workers accidentally get their hair or jewelry caught in office equipment or as a result of using equipment improperly. The National Fire Protection Association (NFPA) indicates nearly 30% of office fires are "caused by cooking equipment." The majority of these fires (around 22 percent) start in the kitchen or cooking area and the other locations where various types of cooking equipment might be used, such as conference rooms or individual offices. Ergonomics considerations in all kinds of work environments can lead to injuries that are debilitating to workers and costly to employers. The Integrated Benefits Institute (IBI) indicates approximately 25 percent of workers report having lower back pain, a reality that they say is quite costly for employers. The IBI asserts the average cost of lower back pain to employers runs $34,600 for each 100 employees per year. This figure takes into account absenteeism, short and long-term disability, workers' compensation, and reduced performance while at work. Per MSDSOnline, musculoskeletal disorders, sometimes referred to as ergonomic injuries, are responsible for around one-third of lost work time due to work-related injuries. This is because these types of injuries, which include things like sprains, strains, tendinitis, and carpal tunnel syndrome, often require workers to miss many more days of work than those who suffer other types of injuries. While computer usage is often linked to repetitive stress injuries such as carpal tunnel syndrome, this often work-related injury is not limited to office workers. The Cleveland Clinic indicates workers particularly at risk for this problem include those who are exposed to cold temperatures for extended periods, such as those who work outside during the winter or in cold storage facilities, or who often deal with vibration, such as those who work with power tools or operate heavy equipment. Substance abuse can have a significant impact on workplace safety. According to the United States Department of Labor, employees who use drugs "are 3.6 times more likely to be involved in workplace accidents" than those who do not. Alcohol also has an impact of workplace safety. According to the National Council on Alcoholism and Drug Dependence (NCADD), "breathalyzer tests detected alcohol in 16% of emergency room patients injured at work." The National Council on Alcoholism and Drug Dependence indicates as many as 40 percent of the fatalities and 47 percent of injuries that occur in industrial settings are associated with the abuse of or addiction to alcohol. Workplace violence is a serious safety concern that occurs far too often. According to the Occupational Safety and Health Administration (OSHA), close to 2 million members of the U.S. workforce report experiencing some form of workplace violence each year. The real number may actually be much higher as it is believed that many incidents of workplace violence are never reported. Workplace violence is not limited to acts of aggression between people who work for the same company. 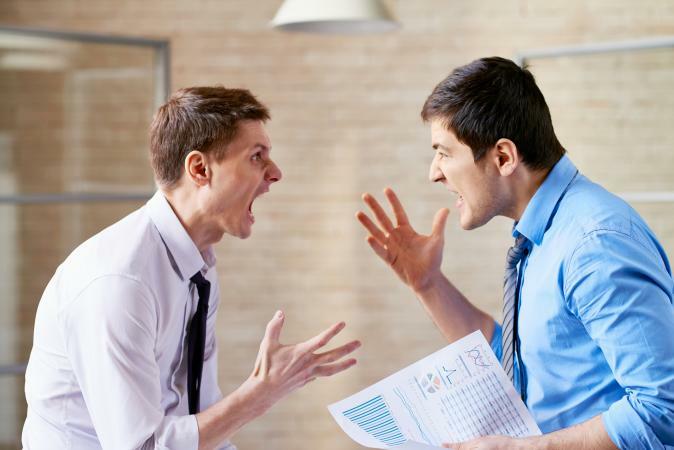 As Nolo.com points out, "workplace violence is much more commonly committed by outsiders than by current or former employees." Perpetrators of workplace violence are often outsiders looking to rob the business, disgruntled customers who are angry about their experience with the company, or people with whom employees are having domestic disputes or other personal problems. The retail industry is particularly at risk for workplace violence committed by outsiders, particularly in situations where employees are working late at night alone in places with cash on hand. According to OSHA, "job-related homicides in the retail industry account for almost half of all workplace homicides." Healthcare workers are also at an increased risk for workplace violence, with OSHA reporting that incidents involving serious workplace violence "were four times more common in healthcare than in private industry on average" between 2002 and 2013. The World Health Organization indicates that as many as 38 percent of people who work in healthcare may "suffer physical violence at some point in their careers." Far too many workplace safety problems result in fatalities. According to the Census of Fatal Occupational Injuries Summary for 2015 issued by the BLS in December 2016), in 2015, 4,836 workplace injuries resulted in fatalities. This represents an increase over recent years and is the highest number in a single year since 2008 (when there were 5,214 fatal workplace injuries reported). In summarizing the BLS report, Overdrive states "heavy truck and tractor-trailer drivers accounted for the most workplace fatalities of all occupations" in 2015. A total of 745 truckers died as a result of occupational injuries. Truckers aren't the only ones at an elevated risk for workplace fatalities on the road. In addition to the high number of truck driver fatalities in 2015, Overdrive indicates there were "1,264 total work-related deaths on roadways in 2015," nearly half of which involved big rigs. This number includes workers who were hit by vehicles. Other occupations with particularly high fatality rates due to injury per the 2015 BLS summary include construction; management; occupations involving maintenance, installation and repair; and building/grounds cleaning and maintenance. 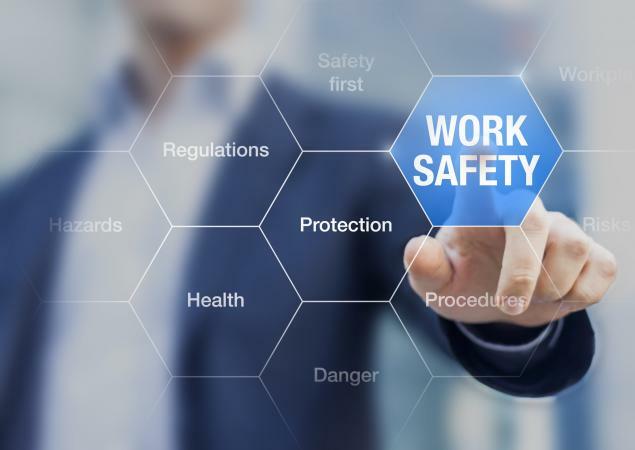 In light of these somewhat frightening facts and figures, it's easy to argue in favor of taking steps to improve workplace safety. According to Safety + Health magazine, conducting a periodic "Job Hazard Analysis" is a good way to help prevent workplace incidents from occurring in the first place and can also help serve as an aid to figure out what went wrong and prevent future problems if an injury does occur. This kind of analysis involves looking at the individual steps required for each task, identifying possible risks for each step, and implementing strategies to do away with or minimize them. To be in compliance with the OSHA Hazardous Communication Standard, U.S. employers are required to provide workers with access to Material Data Safety Sheet (MDSS) documents for all hazardous substances that are stored in the workplace. They provide details on what to do in the event of exposure. Hazard.com/MSDS and ilpi.com/MSDS and are good resources to search for these documents. OSHA's team of compliance assistance specialists is dedicated to helping employers comply with safety requirements. 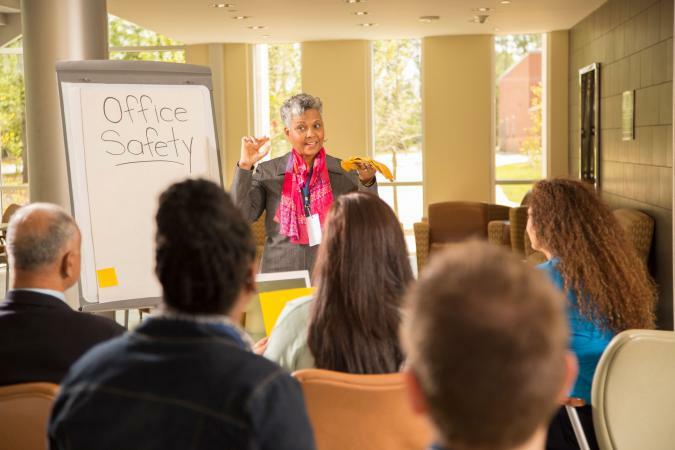 They offer a variety of outreach opportunities, including no-cost compliance assistance focused on helping small to medium businesses identify safety hazards, provide compliance advice, and "assist in establishing injury and illness prevention programs." Educating yourself about the very real risks that exist in the workplace is critical to staying safe. By being aware of key facts and statistics about occupational safety, you stay safe in your pursuit of earning a living. It's always better to be safe than sorry. If you see something that seems unsafe, immediately take steps to protect yourself and those around you and report the issue appropriately using your company's safety policy.